I know, it’s been awhile. Where I try my best to blog at least once a month to connect with everyone, I believe that I haven’t been around since my vacation. Talk about absentee! Let’s get this sorted out right now. Let me tell you what I have in store for the blog and Twitter account in the near future..
First of all, we’re moving! Twitter is a place where I like to share links and foster conversations about entrepreneurship, music, my blog and projects. alongside notable community projects and events. I am always on my @soulafrodisiac page, but never seemed to connect or hit the ground running with my business page @saoconsulting. I am all about branding, and everyone knows me as Soulafrodisiac. In this case, moving and merging my accounts will be the best thing to do. So after some feedback, I will be shutting down the @saoconsulting Twitter account, and merging it with my @soulafrodisiac account. It only makes sense, so I hope to see you there! 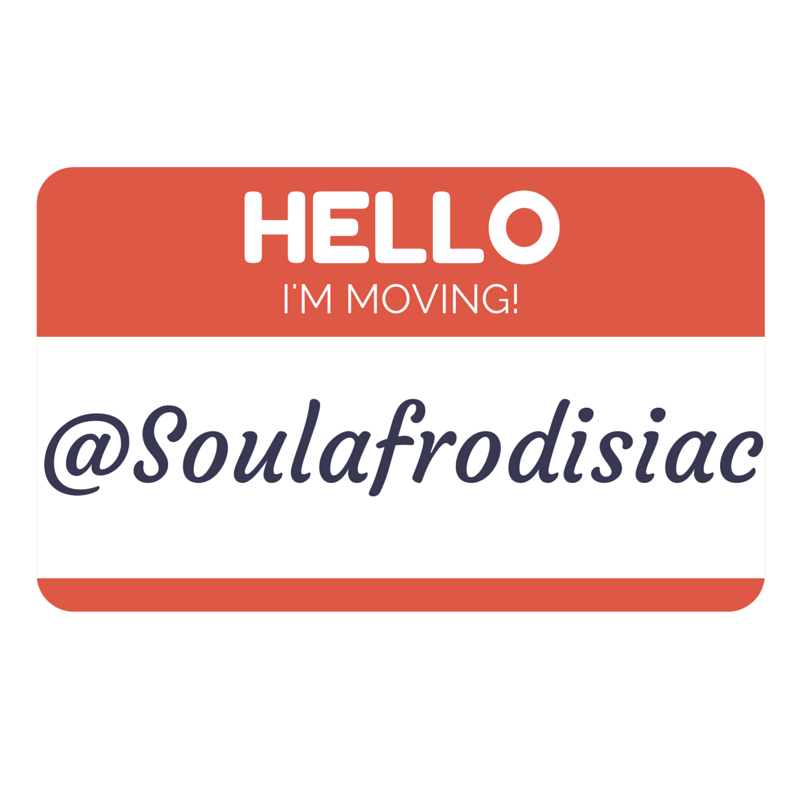 Again, as of Friday June 24th, you can find me on Twitter under the handle @soulafrodisiac. Lastly, I have decided to take on a new feature on this blog and I’m very excited! In-between my personal posts, I will be interviewing some of the amazing entrepreneurs that I know and posting our video interviews for your viewing pleasure! We will be discussing entrepreneurship life, what it’s like to be an entrepreneur, approval and dislikes etc., and I am in the midst of working on the inaugural post that will make its way to you very soon, so please stay tuned! Don’t forget! Join me on Twitter on @soulafrodisiac and be on the lookout for a new video series coming your way via my blog! I do hope all is going well in business for you. See you soon! Next Post Work-Life Balance – How Do You Tip The Scale?